It’s been a bit of a tough one around here, folks. Between ending my vacation, leaving my family, a huge workload to welcome me home, and leaving my phone on the roof of my car as I blissfully drove down the highway (true fact), I’m in a bit of an emotional funk. 1. Plentiful Produce – This week at the market and at the store were real wins in the produce department. We got local blueberries for $2.50 a quart, PLUS organic blackberries and raspberries for only $2 each! I might be going a little overload on all this berry bliss, but man, is it sweet. 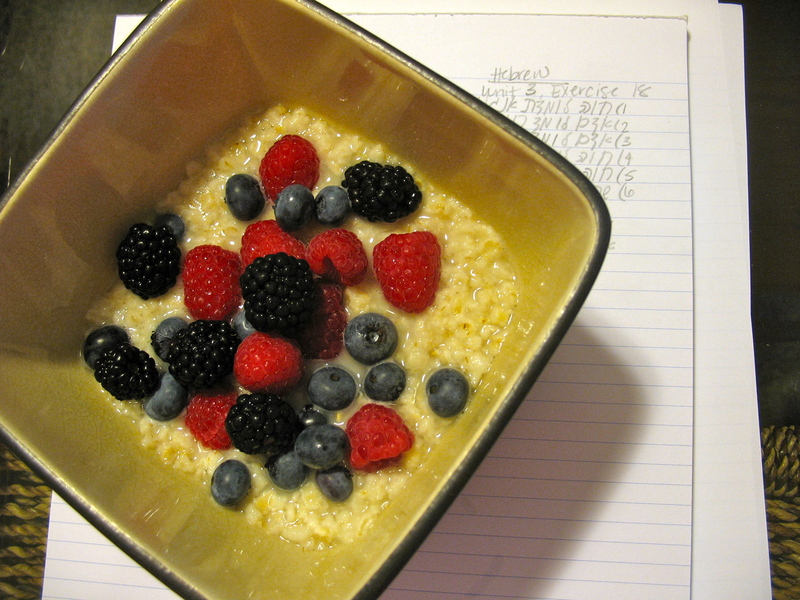 Everyone loves a little Hebrew homework with their breakfast, right? …right? 2. 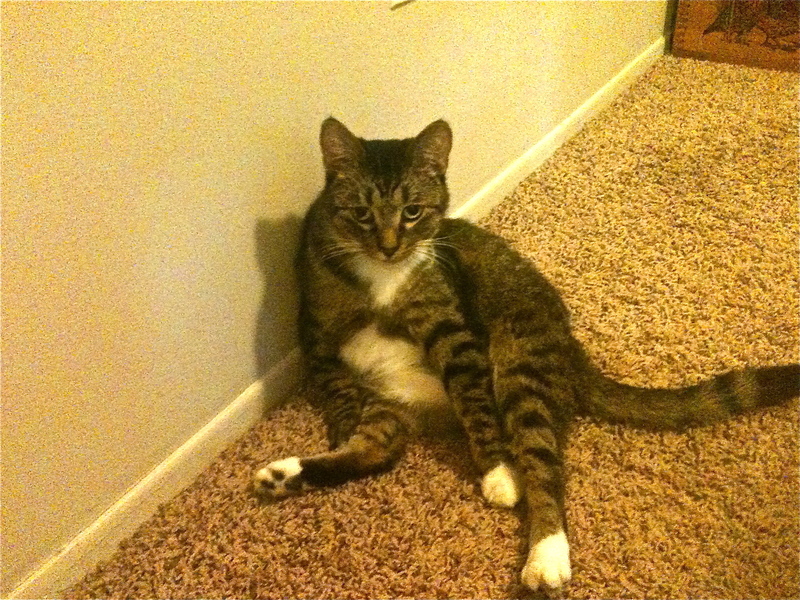 Cuddly Cat – Eva was not a happy camper when I unceremoniously left her for a whole week. I paid her a lot of attention once I came back, but she seemed quite miffed and wouldn’t really reciprocate unless it involved food of some kind. This week, however, she has been crazy cuddly, taking every opportunity to hop in my lap, purr, and receive a ton of loving. It’s a nice change – I just need to keep the lint roller handy! 3. 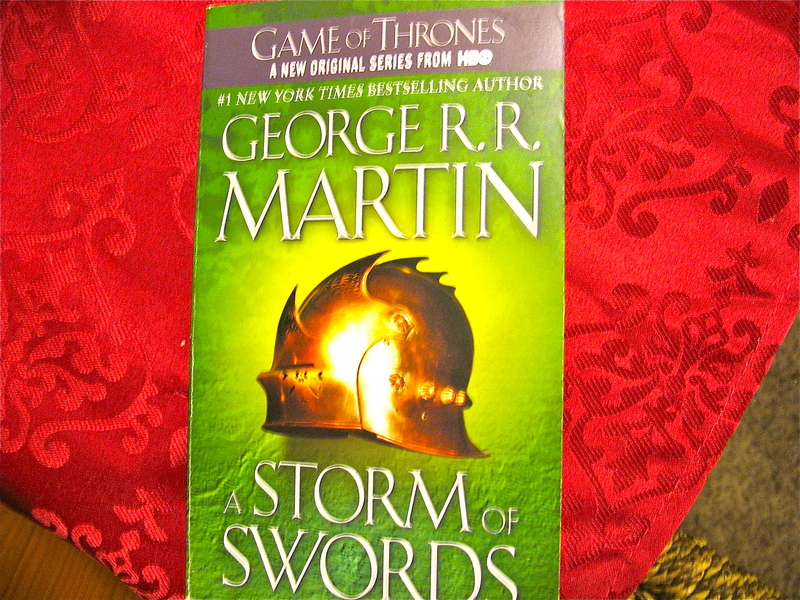 Rockin’ Reads – I’m an avid reader, and tend to follow some of the popular trends out there (Harry Potter and The Hunger Games, for example), but I didn’t have a huge interest in reading the most recent series phenomenon, Game of Thrones. (If you were thinking 50 Shades of Grey, no. Just, no.) It wasn’t until a combination of the stellar HBO show on the series and FH’s begging well-reasoned suggestions that I finally picked up the books and dove in headfirst. I am in love with the entire franchise and am eagerly tearing my way through book two, A Clash of Kings. I already don’t want them to end! I’ll get to you soon, Storm of Swords. Promise. 4. Technicolor Technology – I was super, super bummed about losing my phone yesterday. I had an older iPhone model that served me well, and an OtterBox case that was able to survive one of the toughest, most destructive forces on the planet – my clumsiness. I’m endlessly thankful that, though my incident was irksome, at the end of the day, the phone itself wasn’t anything really important, and that I have the means and ability to replace what was lost. You will never be left on the roof of my car. Seriously. 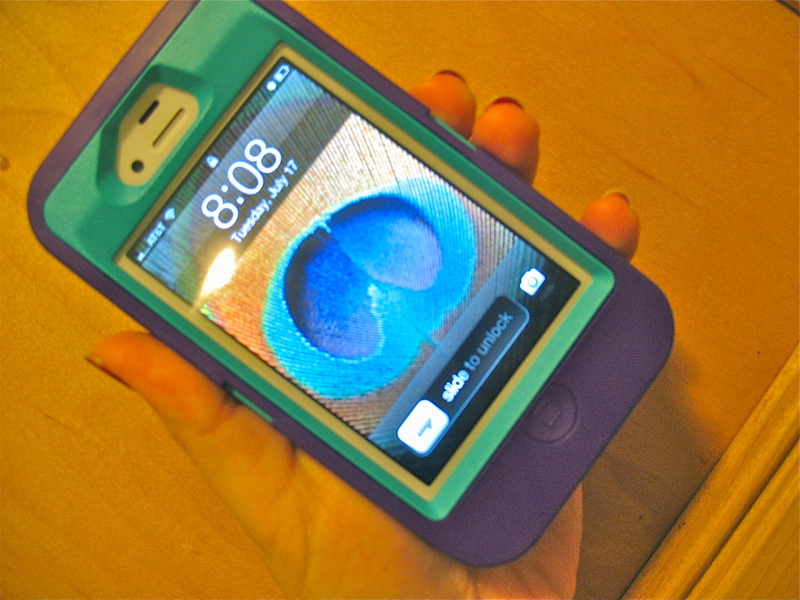 I think that’s something that happened just to bring us together, O OtterBox Case of Colorful Joy. 5. 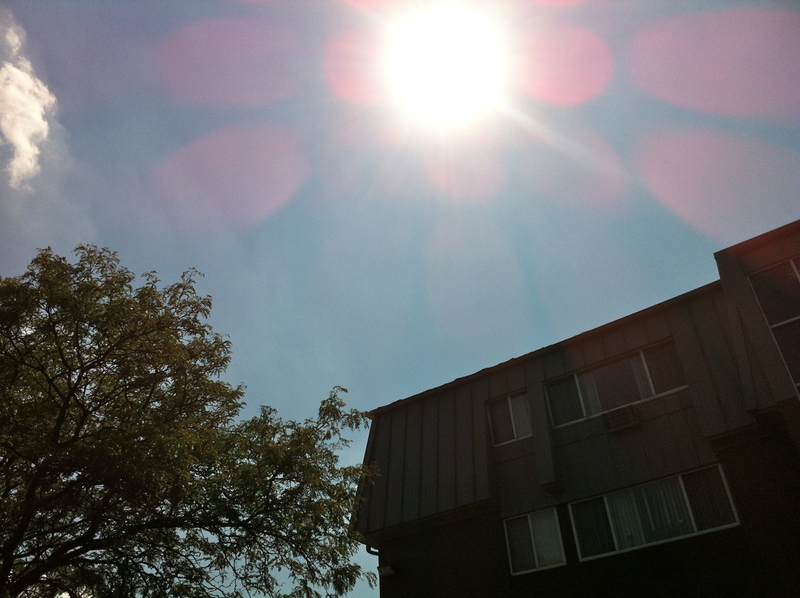 Super Sunshine – It’s almost unbearably hot here. I live in Michigan. As in, the North. 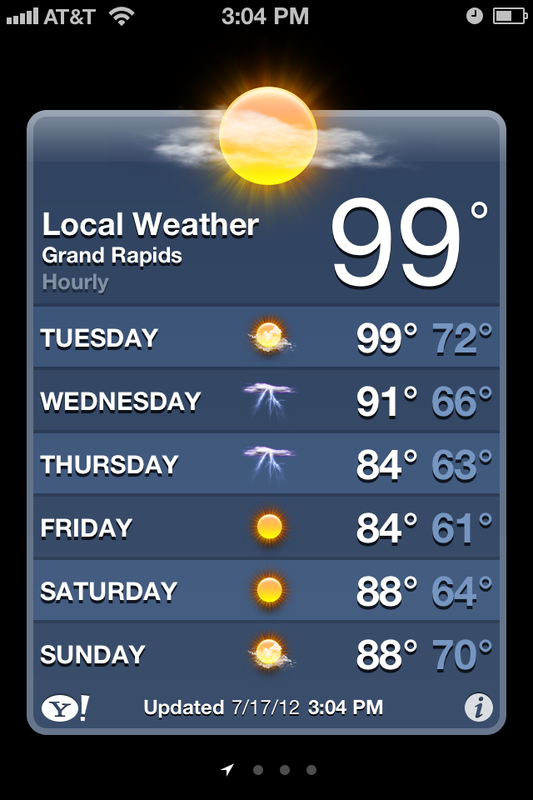 As in, where it’s not supposed to be 100 practically ever. As a native Floridian, I thought I had this heat thing down. Evidently not. You probably haven’t seen this shot at all. Ever. I bet no one else is taking a picture of their phone screen and posting it around to complain about how hot it is. Yeah. But one thing I love? Endless sunshine. My gosh, it’s like Mr. Golden Sun can’t get enough of showing his mug around here, and I am perfectly okay with that. See that cloud over there, on the left? Never stood a chance. Your turn: What’s making your Tuesday (or Wednesday, or week, or month!) terrific? One thing that’s not making my Tuesday terrific? I misspelled “terrific” about five times while writing this post. Oy.